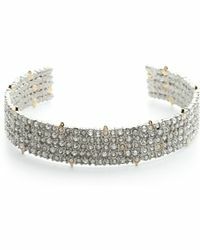 Alexis Bittar has a reputation for being a fantastic accessories brand, producing stunning pieces that include rings, bracelets and necklaces. 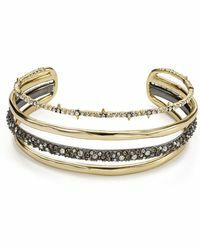 The brand has achieved collaborations with numerous well known labels and individuals, from Jeremy Scott to Phillip Lim and regularly adorns the wrists, hands and necks of some of the world's most stylish women. 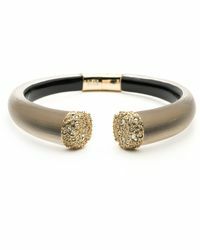 The line of bracelets from Alexis Bittar includes cuffs, bangles and hinged bracelets. 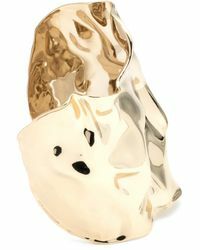 Designs range from big, bold and gold through to colorful brights and designs that are rich with embellishments. 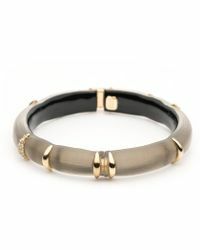 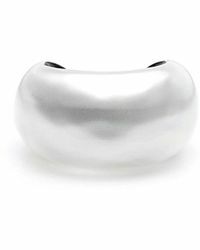 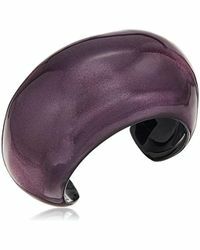 Many of the designs are sleek and contemporary, including tapered shapes, baguette bracelets and modern, clear styles.